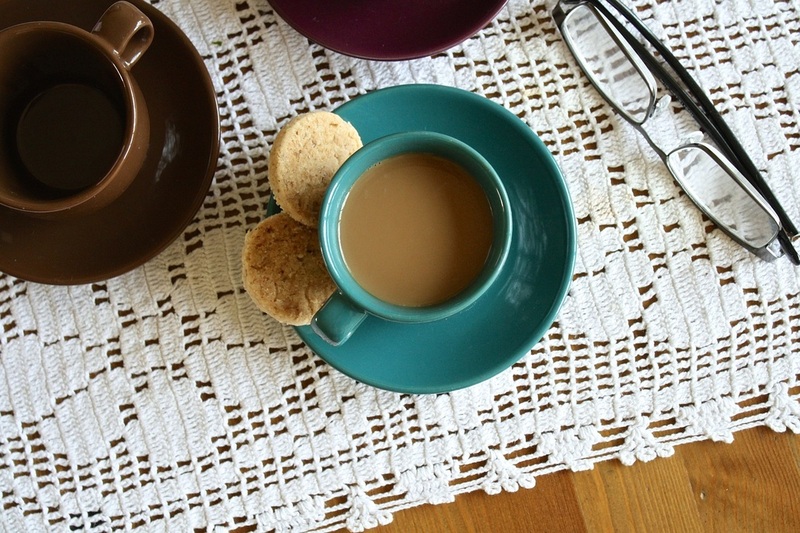 Guided Circles at The Purple Ink Cafe are a great way to explore a theme or a topic. It’s also an opportunity to test out a new interest. Each circle has its own focus and is typically 4 - 6 weeks long. Your guide will open the space and bring you into the cafe with a short guided relaxation. She will lead you through a short exercise or share a tool specific to the theme of the circle. Then you get to work. Space is held by the guide so that you can spend some focused time getting to what you want to do. At the end of ninety minutes, everyone will reconvene for a some high fives (or ‘puddie paws’ as we call them) before a short closing. 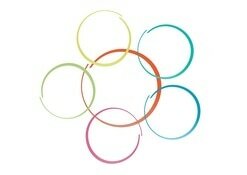 Guided circles are a low cost investment and can really begin to build sustainable momentum toward your goal or project. A KMI Master Mind™ is an opportunity to go deeper into a project or work towards a larger goal. A KMI Master Mind™ is limited to 6 members. 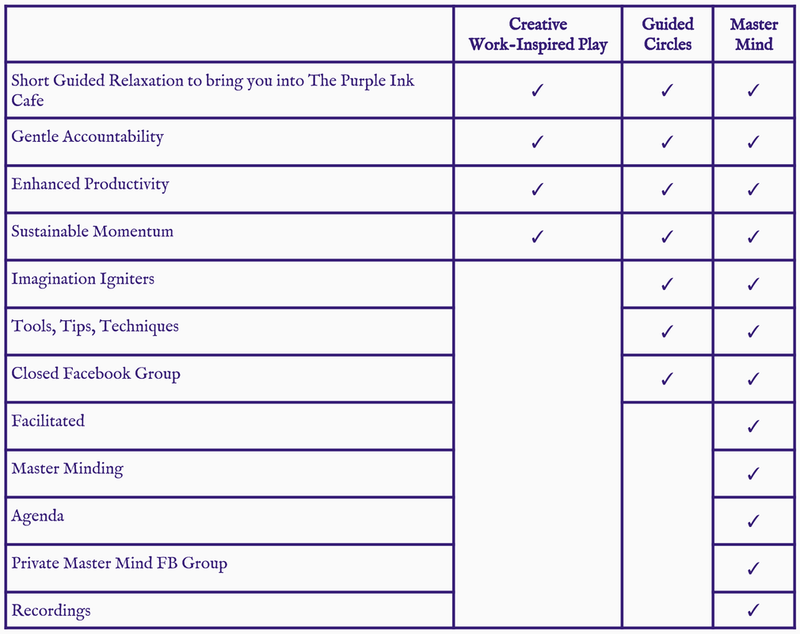 These facilitated groups follow a set agenda based on the unique and creative KMI Master Mind ™ model. This model is steeped in Kaizen and Creativity to give you greater clarity, new tools and techniques for idea generation and elevation. During each session there will be time to focus on your specific needs as well as to take action toward your goal.